Can I be a Whistleblower if I have Signed a Confidentiality Agreement? Many individuals have provided information to the government despite having signed an employment agreement barring the activity in one form or another. Documents created by their employer have even been provided to the government as part of their disclosure in spite of the existence of the agreement. A whistleblower attorney must be consulted to review the contract and determine whether disclosure of the evidence you have gathered is permitted by the law in spite of the agreement. Under some laws, like the False Claims Act, the whistleblower may have to defend themselves against a lawsuit or counterclaim by the company for damages related to the breach of the agreement. In other instances, it doesn’t matter because the company will never learn about the existence of a whistleblower or their identity. The company will never know who has violated their contract. Or the agency (in particular, the SEC) has recognized their use to protect illegal conduct and implemented a rule prohibiting their enforcement. 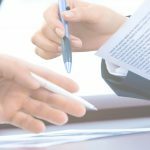 Have You Signed A Confidentiality Agreement? Employers frequently ask their employees to agree to confidentiality at the start of their employment, when they are promoted, after handing out a new employment handbook or as part of a severance package at an exit interview. You may have even been given a copy of the agreement, so you may want to search your records to see if you can put your hands on it. In some cases, you may have forgotten that you signed one. If you do not know whether you have agreed to keep certain information confidential, we will discuss your options with you. After receiving a new employment handbook. Since companies will learn the identity of a relator in an unsealed qui tam lawsuit, confidentiality agreements have been a problem for some relators under the False Claims Act. In an early case, the court held that the relator did not breach the confidentiality agreement by reporting fraud to the government because of the strong policy interests behind the False Claims Act. See United States v. Cancer Treatment Ctrs. Of Am., 350 F.Supp.2d 765, 773 (N.D. Ill. 2004). However, courts are reluctant to protect a whistleblower when the scope of the disclosure is in excess of that necessary to advance U.S. public policy interests. See U.S. ex rel. Cafasso v. Gen. Dynamics C4 Sys., Inc., 637 F.3d 1047 (9th Cir. 2011). In Cafasso, the relator took eleven gigabytes of data indiscriminately. She “grabbed the whole folder” if she saw something interesting in the file names, without reading the individual documents. The Ninth Circuit upheld the grant of summary judgment on the breach of contract claim. The Court of Appeals recognized that “courts perhaps should consider in particular instances for particular documents whether confidentiality policies must give way to the needs of FCA litigation for the public’s interest ….” However, it would only do so where the documents disclosed were “reasonably necessary to pursue an FCA claim.” Otherwise, employees could grab documents and justify them later with the argument that they did so in order to pursue litigation against the company. The Securities and Exchange Commission has adopted a rule barring agreements prohibiting disclosures from an employee to the agency. SEC Rule 21F-17 prohibits actions to enforce, or threaten to enforce, a confidentiality agreement to prevent an individual from discussing a possible securities law violation with the Commission. The only exception is an agreement protecting information covered by attorney-client privilege. Sean McKessy, head of the SEC’s Whistleblower Office, has warned companies about the potential for sanctions from prohibited employment agreements. Similarly, attorneys who draft them can be subject to a bar from practicing before the Commission.